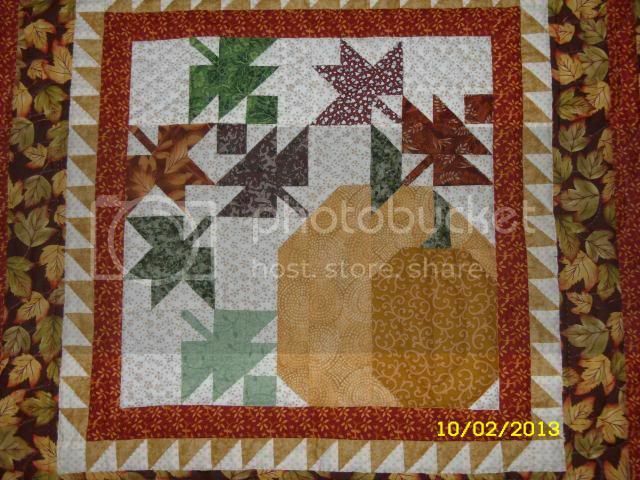 I sewed the binding on this little quilt yesterday, so it is ready to go to SIL as soon as I wash it. 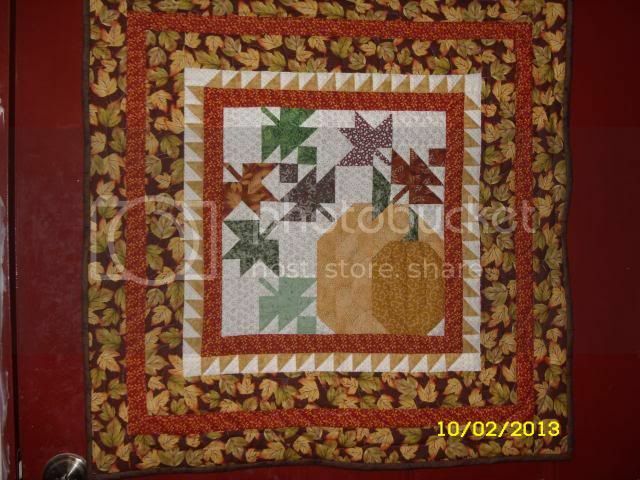 It was quick and fun to hand quilt. No picture of the back since I used a busy fabric and the quilting doesn't show. Beautiful!!! I really like this one; what a thoughtful gift! It's beautiful! Your SIL is in for a nice surprise. This is gorgeous! Your SIL is a lucky lady! Yes, she is so lucky! You have such a gift of sewing and quilting. Beautiful, I love the colours!! Absolutely beautiful Winona! You're definitely gifted.